This is not a BEST OF list. It’s about impact, surprise and lingering effect. As a lifelong culture vulture, creative person and relentless observer of waaay too much, I have the greatest respect for anything out there that stays with me – particularly in a good way. Mostly because it’s so tough to break through all the noise these days. Or perhaps it’s just that lately I have the attention span of a gnat. Of course, starting any project with the goal of making a huge and lasting splash is a sure recipe for disaster. Much as I hate to admit, this has happened to me several times over the years. However, when people hunker down and “do their own thing” (as they used to say back in the day) the result can sometimes be, for lack of a better word – sublime. 2. a. Of high spiritual, moral, or intellectual worth. 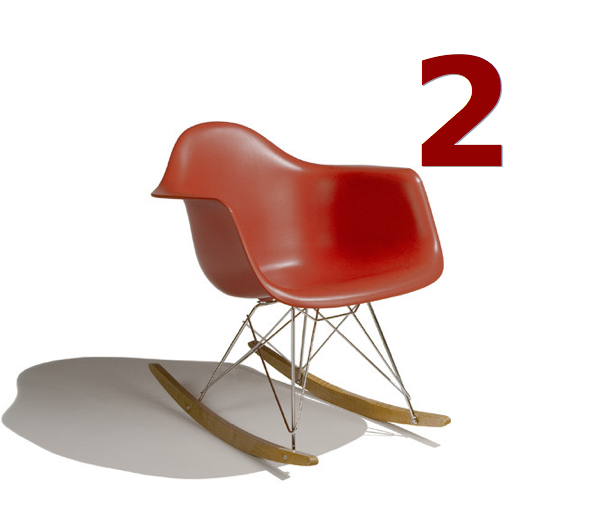 Any one of those could earn you a Rocker and, let’s face it, who among us wouldn’t want to be awarded a photo of a red mid-century style chair. (Note: Chair – Rocker, get it?). Though perhaps using the term nobility is a bit much. Definition #3 – impressive, inspiring awe – isn’t that enough? Yes, I think so. And these, in no particular order other than the one that we chose, are my OUR awards. These three movies, all low budget independent films, have more to say in 5 minutes than do most of their budget-bloated major studio brethren manage to serve up in two three hours. Of course, their combined box-office grosses are not equivalent to the opening weekend of, say – Ironman 3; Thor 2; or even Jack the Giant Slayer. What this confirms once more is that fine dramatic storytelling is not the goal of the major studios anymore. Though if it manages to happen on one of their releases amid a large profit and even larger chance to cash in via future ancillary markets and/or rights, they’ll take it. Do not write in and call me a snob or say that this has been so in the film biz for one or two decades. I, and even we, know that. But it’s getting worse. Can’t we retain even a small sliver? Well, in their own awe-inspiring, impressive ways all three of the above did that and more. Short Term 12: Bravura performances all around in a deceptively multi-layered and tight original screenplay from first time writer-director Destin Cretton – whose next announced project is the film adaptation of the bestselling book The Glass Castle, starring Jennifer Lawrence. If there is any justice Mr. Cretton will be Oscar and WGA nominated for his story of juvenile outcasts and the young people who try to help them at a “short term” facility – but there likely isn’t. Still – now he’s got JLaw so it’s a win-win. The Spectacular Now: A throwback to the small romantic dramas of decades ago where two mismatched, oddball young people fall in love in a most uncomfortable way. It’s not perfect but it has so much heart that it wins you over. This is in part due to actors Shailene Woodley and Miles Teller and to an even greater extent as a result of the adaptation of the book by 500 Days of Summer writers Scott Neustadter & Michael H. Weber, and the precise, sensitive work of director James Ponsoldt. The script lingered for years before Ms. Woodley, a hot commodity after starring as George Clooney’s troubled daughter in The Descendants, became its champion. Lesson here: Create great roles for actors. Fruitvale Station: Finally caught up with it last night at home and am still foaming at the mouth with rage at the murder six years ago of Oscar Grant III, a 22-year old African American male who was finally about to get his life together for the sake of his daughter, his family and himself. The choice of writer-director and USC film school grad Ryan Coogler to tell this real life story in an unembellished pseudo-documentary style is what’s most impressive here. The film was developed through Sundance and won best dramatic feature. Yes, there are those who like to dismiss Sundance these days as pretentious and elitist. Watch this movie before you go there. In fact, just don’t go there anymore. Bill Hader left the cast of Saturday Night Live at the end of the season this year and along with that went the departure of Stefon – his beloved club kid correspondent for Weekend Update. Since goodbyes are often an inevitable and dreaded part of life – especially when it comes to the mercurial television landscape – it was at least nice to see that he was sent off with love and style and his own sort of gay wedding. What can you say about a segment that featured Furbies, the real DJ Baby Bok Choy and an Anderson Cooper-Seth Meyers fist fight? Only that it was a perfect homage and finale to one of SNL’s most original and beloved characters. Note: Hader created Stefon with the very talented comedian-writer John Mulaney. His standup act is hilarious and he is doing a new TV comedy for Fox next year in which he’ll star as the young, struggling comedian he once was. Co-starring will be Martin Short. Must see TV? We think so. US Supreme Court Pro Gay Marriage Ruling. Starring: Rob Reiner, David Boies, Ted Olson, Edie Windsor, Kristin Perry & Sandra Stier, Paul Katami & Jeffrey Zarrillo – and President Barack Obama. There has not been a film or television movie about it – yet. 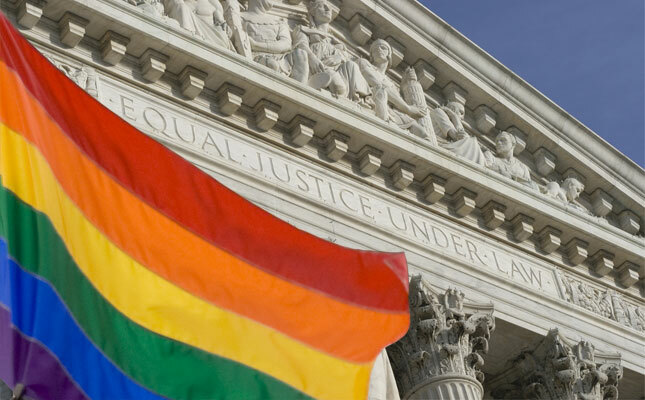 But this year’s landmark US Supreme Court rulings that officially legalized gay marriage on a federal level is a landmark case that will have positive civil rights repercussions for generations. Arguing the case were lawyers Boies and Olson – adversaries in another famous US Supreme Court case, Bush v. Gore, for the courageous LGBT defendants Windsor, Perry, Stier, Katami and Zarrillo. Oh, and if you don’t think it takes courage to be the public face in a civil rights case in terms of time, attention and vociferous hate mail – try it some time. Or better yet, just post a comment to any random website where you disagree with an extreme right wing position – as I did this weekend about A & E’s reversing its decision to reinstate Duck Dynasty’s hate-speaking Phil Robertson – and note the number of truly savage, hate-filled responses you get. It ain’t pretty. 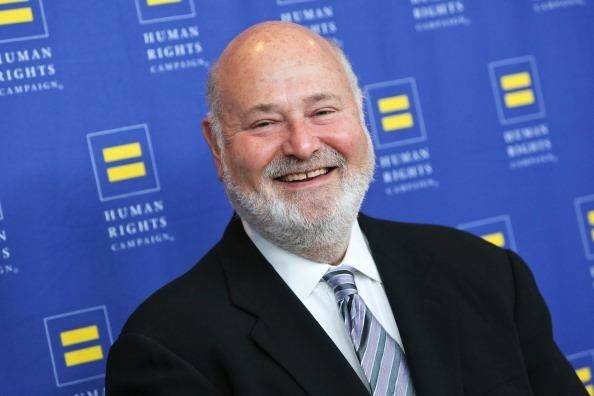 Finally, you can dislike whatever Rob Reiner films you choose to but you cannot be disagreeable about his overwhelming commitment of time and energy to both raise money and personally finance the fight for gay marriage through it’s case origins in California right up through to the US Supreme Court. There are political activists in the industry but few with Mr. Reiner’s reach, fervor or unwavering determination. And, uh – p.s. – he’s not even g-a-y. Not that there’s anything wrong with that. There are so few moments in pop culture that live up to the hype. But the phenomenon that was Breaking Bad was one of them. I was admittedly late to the game in catching up with all seven seasons but given the national cultural hysteria I finally gave in, knowing full well that I would inevitably be disappointed. Okay, well, so I don’t know everything. I chronicled my eight days of binge-watching all 52 BB episodes here in time to join the real world in real time for the finale. It might make my life seem small and insignificant to note that it is one of the few experiences I will never forget – but only if you have never tuned in and checked out the show itself. Why does it work? There are so many obvious reasons – great writing, acting, directing and across-the-board terrific technical talents. But it was also a perfect reflection of our times in telling the story of an extremely smart but downtrodden everyman – nee a financially struggling high school chemistry teacher who is suddenly diagnosed with terminal cancer– who will do anything to provide not only for his family but for himself before he dies. And anything means – A-N-Y-T-H-I-N-G. If you want to know more than that, borrow some DVDs or hack into someone else’s Netflix account. Finales are tricky but this one proved every bit as powerful as each and every episode before it. 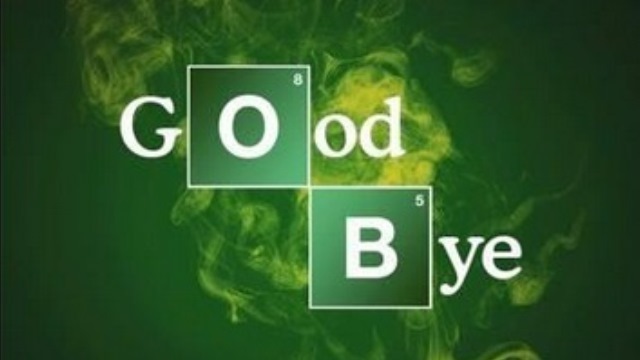 Sadly, this was not the case with another departing hit show fave of mine – Dexter. Yes, endings are tough. But ending well and going out the way you came in (Note: Yes, that’s an unintentional quote from the 1967 camp classic Valley of the Dolls) – that’s the toughest. ROCKIN’ THE WOOL OVER THE AUDIENCE’S EYES — IT’S A TIE!!! Popularity doesn’t mean you rock. It just means you’re popular. I mean, did Paris Hilton rock? Does (or did?) Kim Kardashian? Or, to put it another way, did Crash deserve to win the best picture Oscar over Brokeback Mountain? (Note: Watch them again and then compare and report back). What popularity does account for are bodies taking notice of you or your deeds or your product. That does not mean you’re good or even well done. It just means you are and that you got A LOT of attention. 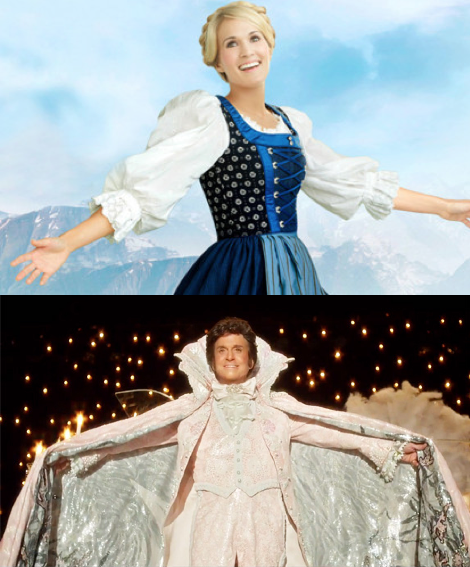 Therefore, by any objective standards the Liberace movie called Behind the Candelabra and the NBC live three-hour broadcast of the beloved musical The Sound of Music starring country singer Carrie Underwood were phenomenal hits. But to my mind, not in a good way. Carrie Underwood has a pleasant voice but cannot act. I mean, I could’ve played a better Maria – especially if I got to do some of those lines next to Audra MacDonald. As for story of closeted gay icon pianist Liberace – it was not the true story – that would have been far more salacious since Liberace’s real life lover Scott Thorson was 16 years old when they first met and couldn’t have been played by Matt Damon. Had the real story been told – and not just the gay men as spectacle tale– it would have had to be shown as the telefilm version of NBC’s To Catch A Predator. In conclusion, and put it in high school terms – which often works in all things Hollywood – there is no way to argue with popularity. It either is or it isn’t and you either are or you’re not. But remember – the Emperor’s New Clothes were once popular, too. Just sayin’. No, I’m not going to defend myself. I loved it — and not just because I loved Mary Poppins as a kid. The film is being sold as a comedy but it’s really about how writers (or any artists) try to survive the painful moments of childhood by weaving its high and low points into some sort of creative expression that can correct and/or save you or your loved ones from the situation. As a writer who has done just that – and speaking for anyone else who hopes to do just that – you can keep all of your snide, snickering bah humbug remarks to yourself. Plus – there’s Emma Thompson. She’s not only sad, touching and irascibly funny in the movie, she gives the most hilarious press interviews you’ll ever want to see. Case closed. The guy can act AND sing. No, seriously – he can really, really sing. You can’t fake that when you’re playing the lead role of a folk singer in 1961 Greenwich Village in a Coen Bros. movie and a good part of the film is you, in five feet of close-up, chirping unadorned for the entire international world to see. Also when the moments that you are singing onstage are the only ones where the audience can truly sympathize with your character’s plight, it is an enormous acting challenge. Therefore, it didn’t surprise me or anyone else to hear the filmmakers admit publicly on a panel after an early screening of their film that had Mr. Isaac not walked in and nailed his audition very late in the casting process they were not sure if they would be able to make their movie at all. The film as a whole is to a taste. Okay, it’s odd. But it’s also a rare opportunity to watch someone you’ve probably never seen onscreen before totally morph into an unforgettable character you’re unlikely to see onscreen again at any time soon. If ever. Oh, hiss and boo your own selves, as Bette Midler so aptly put it in her 1985 comedy album Mud Will Be Flung, Tonight! I thought Sandy (yeah, that’s what everyone in the biz calls her) was pretty great in the movie….actually, quite great. Fine – you try acting to nothing for most of your time on camera. And when I say nothing I mean – nada. There’s a green screen behind you. You’re suspended in the air in a heavy faux astronaut’s uniform. And you’re shooting on and off for years on end, trying to maintain some continuity of your character’s emotional state while the technical team behind your film tries over and over again to get the special effects just right. Yeah, yeah, I know Cate Blanchett was terrific in Blue Jasmine. But why does digging into the emotional life of a Ruth Madoff meets Blanche DuBois character have to trump the acting skill it takes to survive the contemporary vagaries of big major studio, SFX ridden contemporary Hollywood while simultaneously delivering an against-the-odds truly convincing performance that literally carries the film? It doesn’t. Sorry. Sandy wins. PS – Yes, her body looked good in those shorts. So what??!!! PPS – The movie was a huge leap in what we can do in SFX – not that you care!! This is thoroughly unfair but why can’t I read past pg. 20 of 761 pages no matter how many times I read those 20 pages over? I know the book is acclaimed but why, why, why is its prose so dry, dry, dry and leaving me so parched, parched, parched? Too much TV? (Note: Before judging me you should know I read every wet word of both Jonathon Franzen’s The Corrections AND Freedom and always wanted more). 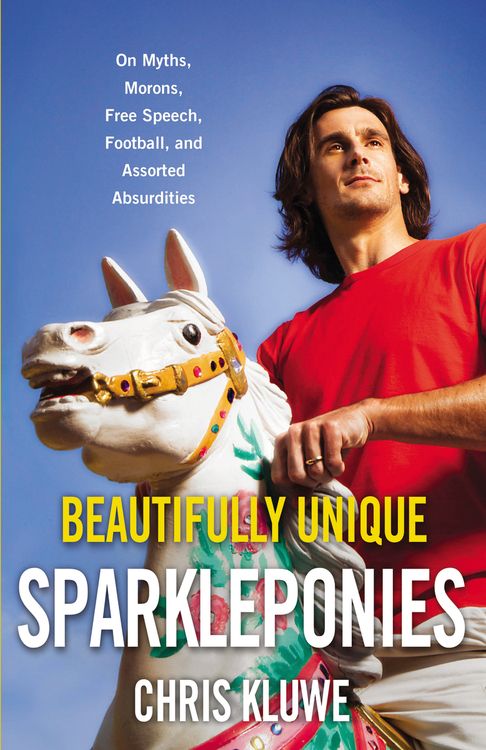 Funny, snide, smart, scrappy, funny, fun, fun. And it’s not only because he’s hot and spoke up for the gays. And…personally answered one of my tweets. On Twitter. In a direct message. Okay, maybe that’s part of it. But it’s not…everything. Still, there is something significant happening here that goes well beyond Simone, the interesting but long forgotten 2002 film where a man concocts the ideal virtual female. What’s going on is also significantly depressing if you think about it for too long or in the wrong way. What is the right way to consider a world in the not so distant future where many of us are so incapable of relationships that we turn to our computers or mobile devices for our primary emotional attachments? To admit that it is really happening right now? Or to dismiss that notion as some sort of superficial movie industry take on New Media for Dummies? Hmm, maybe neither. None of this would work at all were it not for Joaquin Phoenix’s extremely committed performance. But none of it would even be possible at all without the originality Spike Jonze brings to a subject matter so easy to present in a hackneyed way. This entry was posted in Just Sayin' and tagged Behind the Candelabra, Breaking Bad, Chris Kluwe, Donna Tart, Finale, fruitvale station, Gay marriage, Gravity, Her, inside llewyn davis, Jessica Lange, Joaquin Phoenix, Macklemore and Ryan Lewis, obama, Oscar Isaac, rob reiner, Same Love, Sandra Bullock, Saving Mr. Banks, Short Term 12, SNL, Sound of Music Live, Spectacular Now, Spike Jonze, Stefon, The Goldfinch, The Rockers, US Supreme Court. Bookmark the permalink. Loving the blog as always, Steve! Gravity was the best movie of the year. Sandy deserves the Oscar and I hope she gets it! Spectacular Now, meanwhile, is my number two of the year. That movie hit me like a ton of bricks, and hit rather close to home, as I related to Sutter quite a bit, and the relationship reminded me a lot of me and my ex. 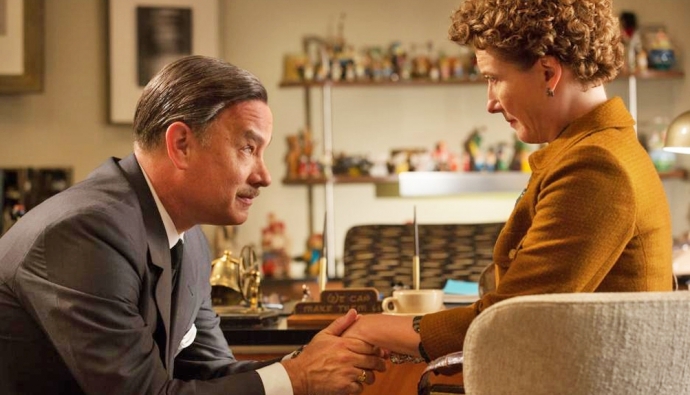 I liked Saving Mr. Banks, but my big problem with it was the flashbacks. I thought the tone was all wrong. I rather enjoyed the whimsical nature of the “present day” (or whatever you call it) story, and thought it all worked 100%, but the flashbacks I thought should have been in a very realistic style for contrast, and to reveal the very real tough past that this woman is trying to hide with her facade and through her whimsical writings (so the styles parallel the emotional meaning, ya know?) Instead, they went the opposite direction, and made the past ultra cheesy, which made it feel phony, and really undermined the core of the film for me. The one scene that stood out as working was the one where her father is on stage, drunk, because it was oddly the least over the top and most “real” feeling of all the flashbacks. Also, haven’t seen it yet, but Super pumped for “Her”. I think they just made a “choice” with SMB that the film was going to be one for the whole family. I didn’t mind the gauzy tone of the flashbacks though I know what you mean. They felt in keeping with the overall tone – which was a kind of “pushed” reality. The details of memory of a bit unreliable – I took it like they were showing her childlike memories of what happened – it was probably far worse in reality. I did very much like the onstage drunk scene – which probably worked as well as it did because it was so in contrast to all of the other flashbacks. I think you’ll like “Her.” For some reason “Gravity” has gotten underrated while “12 Years A Slave” is getting all the hype. We’ll see what happens around Oscar time. I think you’ll like “her” very much. “Spectacular Now” is also a forgotten film. It’s interesting what seems to rise to the surface in terms of Hot movies. You can say that’s a good thing to attempt an “alternative” to Hollywood’s appealing protagonists, and the acting was A+, but — call me old-fashioned — it’s hard to watch a movie about an a**hole who goes around acting like an a**hole (despite considerable talent) and never redeems himself or changes in any way or even learns a lesson. I felt this was a parable without any moral lesson at the end. Or maybe the lesson is “don’t be an a**hole.” Thin soup. 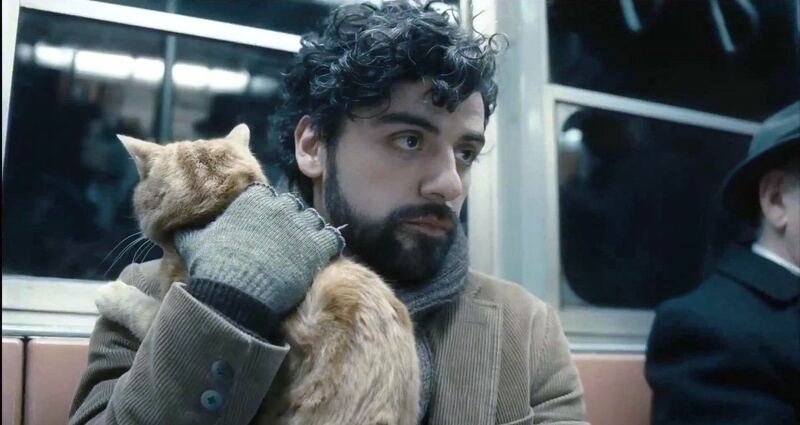 I also had the odd thought that maybe the Coens read Blake Snyder’s book on screenwriting, SAVE THE CAT — which is a pretty good book on writing to Hollywood formula — and decided to do exactly the opposite of everything suggested in that book, thereby yielding Inside Llewyn Davis. It seems clear at this point that the Coens are great filmmakers who have no interest in throwing their audiences much of a bone. You get the feeling that unless a movie is vague or obtuse they consider it dumb and pandering. And I really like most of their movies. But sometimes it is just as tedious to watch a film that refuses to show much more than a slither of sensitivity on the part of its main character as it is to watch the most syrupy Hallmark Channel movie about a gal looking for and finding her prince charming. They’re really just opposite sides of the exact same coin. I heard them speak after a screening of “Llewyn” and, well, it sort of cemented what I thought. But then again, I don’t know them. They might be sweet, lovely guys with hearts of gold who are merely cynics onscreen. Hmmmm.